Legal coverage without the complexity. A team of lawyers ready when you need them. Pick a plan for your family or your small business. You’ll be connected with a local team of lawyers with extensive knowledge of regional laws and regulations. After you’re signed up, download the app to communicate with your firm in just a few clicks. Now it’s time to strategize. Your lawyer will review your case and discuss your options with you. It could be as simple as reviewing a document, writing a demand letter, or making a phone call on your behalf. 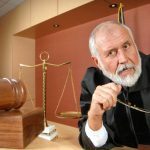 Should the issue lead to some time in court—whether as a defendant or a plaintiff—you get at least 25% off your lawyer’s hourly rates, even if the issue started before you were a member. At the end of it all, you can breathe easy. The biggest benefit of LegalShield is knowing you have a legal team on your side. Worry less. Live more. We’ve got you covered. ** Specific exclusions may apply. See plan contract in checkout for complete terms, coverage, amounts, availability, conditions and exclusions.